"A Thrilling Tale of the Attack That Marked America's Darkest Day" ---W.E.B. Griffin President Franklin D. Roosevelt's speech on December 8, 1941, lasted a mere six and half minutes. But his words and tone-in a monologue that would later be named the Infamy Speech-sent ripples into a nation and a world that continue even today. The historical implications that emerged from the Japanese attack on Pearl Harbor were unprecedented, launching America not only into the depths of a dangerous war, but forever altering the safety and comfort of everyday living. December 8th became a day of speaking out publicly and declaring war; of action, battle, plotting, and victories. This date's significance is resonant and profound as an indelible moment in American history. 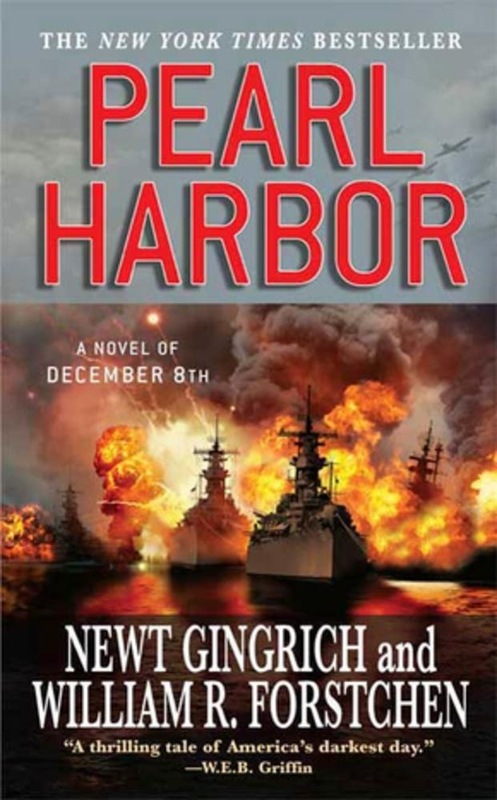 Fresh from their series on the American Civil War, bestselling authors Newt Gingrich and William R. Forstchen now launch a new epic adventure by applying their imaginations and knowledge to the "Date of Infamy"-the attack on Pearl Harbor. Pearl Harbor covers the full spectrum of characters and events from that historic moment, from national leaders and admirals to the views of ordinary citizens caught in the chaos of war. From the chambers of the Emperor of Japan to the American White House, from the decks of aircraft carriers to the playing fields of the Japanese Naval Academy, this powerful story stretches from the nightmare slaughter of China in the 1930s to the lonely office of Commander James Watson, an American cryptographer, who suspects the impending catastrophic attack. It is a story of intrigue, double-dealing, the horrific brutality of war, and the desperate efforts of men of reason on both sides to prevent a titanic struggle that becomes inevitable. Gingrich and Forstchen's now critically acclaimed approach, which they term "active history," examines how a change in but one decision might have profoundly altered American history. In Pearl Harbor, they pose the question of how the presence of but one more man within the Japanese attacking force could have transfigured the war. More than a retelling, the book also serves as a potent warning, valid still today as an example of what happens when communications and understanding breaks down, and a nation is ill-prepared for the onslaught that might ensue. A compelling, meticulously researched saga, Pearl Harbor is also a novel of valor about those who took part in this cataclysmic moment in world history. It inaugurates a dramatic new Pacific War series that begins with the terrifying account of the day that started it all. 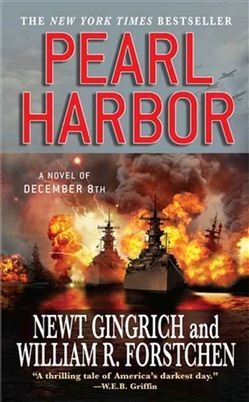 Acquista Pearl Harbor in Epub: dopo aver letto l’ebook Pearl Harbor di Newt Gingrich, William R. Forstchen... ti invitiamo a lasciarci una Recensione qui sotto: sarà utile agli utenti che non abbiano ancora letto questo libro e che vogliano avere delle opinioni altrui. L’opinione su di un libro è molto soggettiva e per questo leggere eventuali recensioni negative non ci dovrà frenare dall’acquisto, anzi dovrà spingerci ad acquistare il libro in fretta per poter dire la nostra ed eventualmente smentire quanto commentato da altri, contribuendo ad arricchire più possibile i commenti e dare sempre più spunti di confronto al pubblico online.